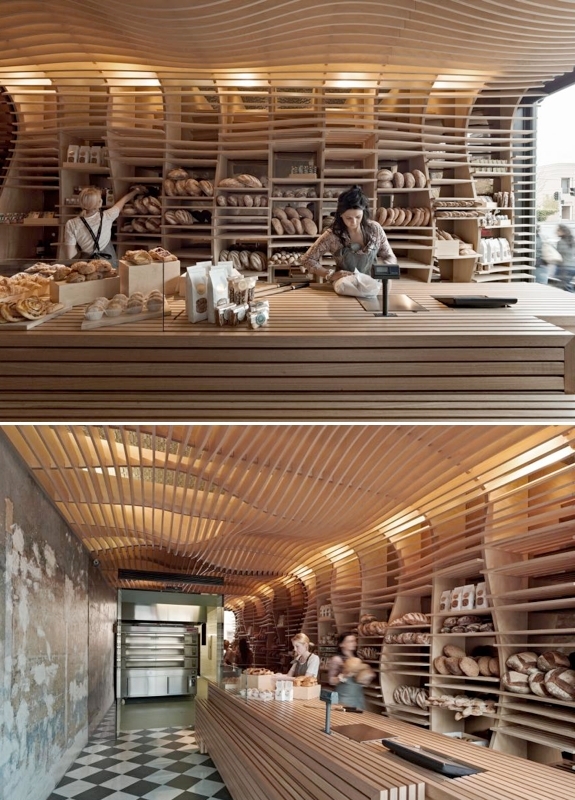 Undulating wooden shelves that extend up to — and then on to — the ceiling gives the Baker D. Chirico Bakery an instantly cool look. Spend some time in the Melbourne-area bakery and you’ll come to find the sales counter pretty amazing too. The architectural firm March Studio designed it with specific slats and crevices for holding knives, crumb trays, scales and the like. But the Baker D. Chirico isn’t all eye candy. The bread, displayed on the shelves sans wrapping, is gorgeously tasty and smells heavenly when fresh out of the oven. There’s a line in a Jimmy Buffett song about a man who felt lost in the world . . . He went to Paris, looking for answers, to questions that bothered him so.
. . . that prompted one friend of Spot Cool Stuff to sell his belongings and move to the French capital. Exactly what the questions were bothering him so, we’re not sure. But he found his answers, he claims, at the Poilâne Bakery. In truth, Spot Cool Stuff doesn’t quite see the magic in Poilane’s that its most ardent fans do. But picking up a large paper bag’s worth of hot pomme chaussons, strolling with a coffee to the nearby Luxembourg Gardens, and sitting down for a snack at the little table by the carousel — that is undeniably special. The world’s largest wood oven – it’s over 12 meters (40 ft) tall – churns out boutique breads at the enormous Blé Bakery in the Greek port city of Thessaloniki. Blé’s savory and sweet baked goods are outstanding. And yet they aren’t the only culinary reason to visit. 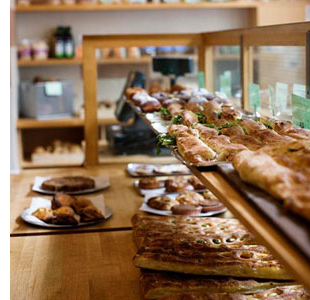 The four-floor establishment also has a world-class delicatessen, wine bar, cheese shop and Cretan take-out restaurant. In fact, several of the meals on offer are difficult-to-impossible to find outside of Crete. 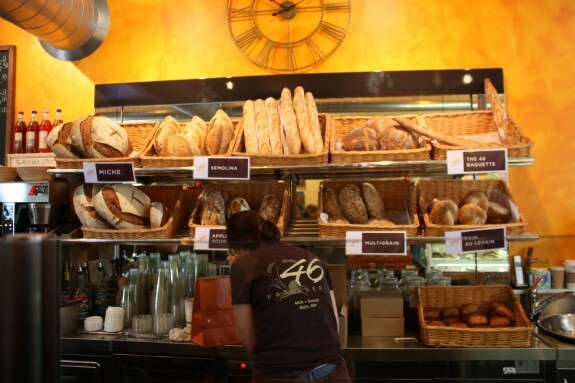 New York City is full of excellent bakeries. 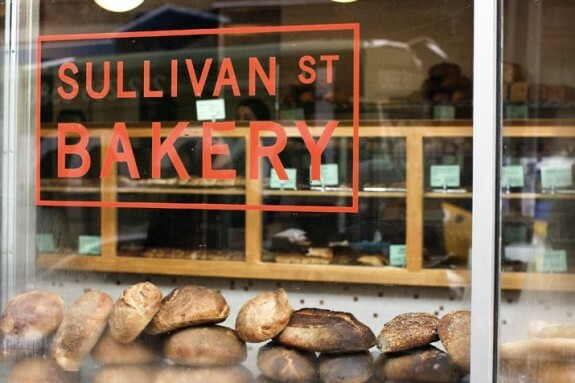 And yet it isn’t too hard picking the best: The Sullivan Street Bakery. The incredibly reasonably prices are certainly part of the appeal — US$15 will get you a slice of pizza bianca, an Italian-style hand-crafted sandwich, a sweet baked good and a drink! But, at any price, the food is gourmet. Our favorite offering is the pana casa reccio, a crunchy-on-the-outside, tender-on-the-inside bread loaf that’s 70% sourdough, 30% whole wheat and 100% deliciousness. 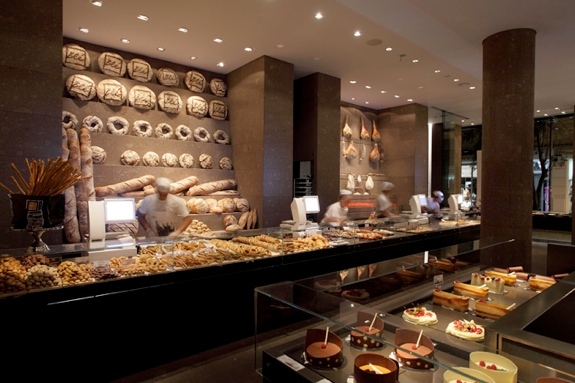 It might be the world’s swankiest bakery. The VyTA Boulangerie in Turin has a look and feel that’s more like a hip nightclub than a humble bakery, such that it is hard to know whether you should eat that croissant you just ordered or start dancing around it. 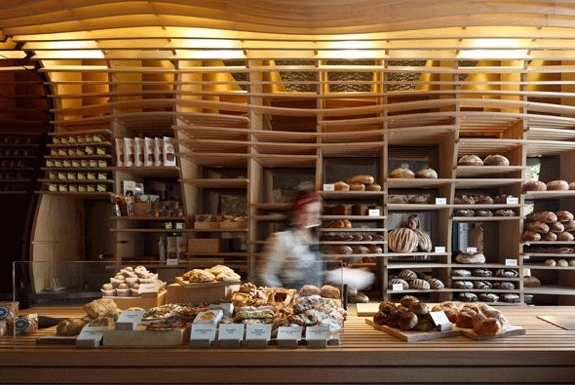 The architectural firm ColliDanielArchitetto designed the hood above the front counter to look like a super sized woven bread basket; the shapes on the walls represent bread crumbs. 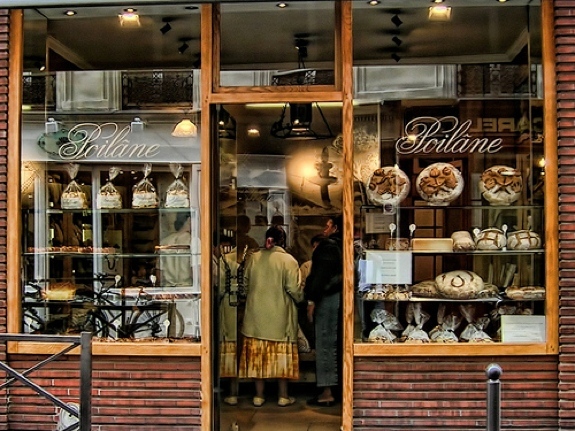 VyTA Boulangerie also has different-looking, but also cool, locations in Rome and Milan. In France, an establishment can only call itself a “patisserie” if its goods are made by a master pastry chef. Minnesota law doesn’t have that particular provision. But Patisserie 46 could still keep its name of it did. Its maître pâtissier, John Kraus, is an accomplished baker and routinely mentioned as one of the best pastry chefs in the United States, if not the world. Among his delectable creations you’ll find within the cozy confines of Patisserie 46: olive sourdough bread (available Thrusdays only), banana Nutella brioche and chocolate truffle cookies. On the whole, the quality of baked goods in Japan is dreadful. But Sadaharu Aoki did not learn the art of pastry making in Japan. He learned it in Europe, where he moved as a young man to attend culinary school. By the time he was 30, Aoki’s elaborate looking (and tasting) pastries were the in thing among the fashion designers of Paris. Aoki cooked custom creations for the likes of Kenzo and Christian Dior. Fortunately, you needn’t be a fashion icon to enjoy one of Aoki’s baked goods these days. You can simply walk into one of his shops in Paris, Taipei or Tokyo. Bring your camera (as well as extra cash to cover the steep prices) since the treats on offer tend to be as colorful as they are tasty. 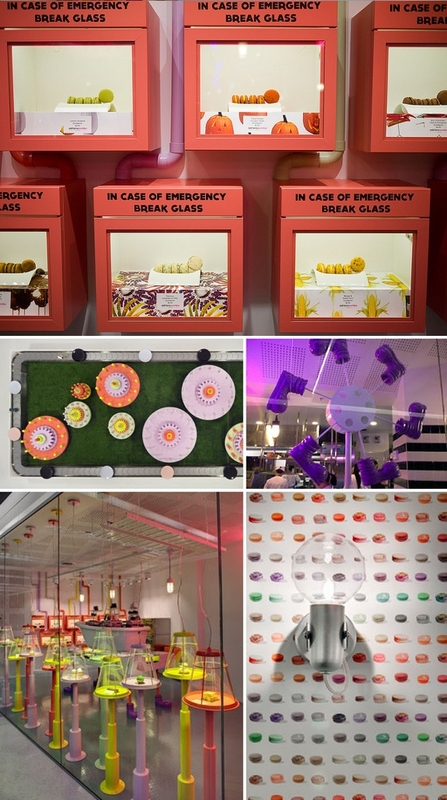 If Willy Wonka were to design a bakery it would look something like the surreal Adriano Zumbo Patissier located inside The Star, Sydney’s massive dining, hotel and entertainment complex. The patissier’s central feature is the “dessert train,” a conveyor belt that parades surprisingly colorful delectables past the seated patrons. See a dessert you like? Grab it off the train and it is yours. 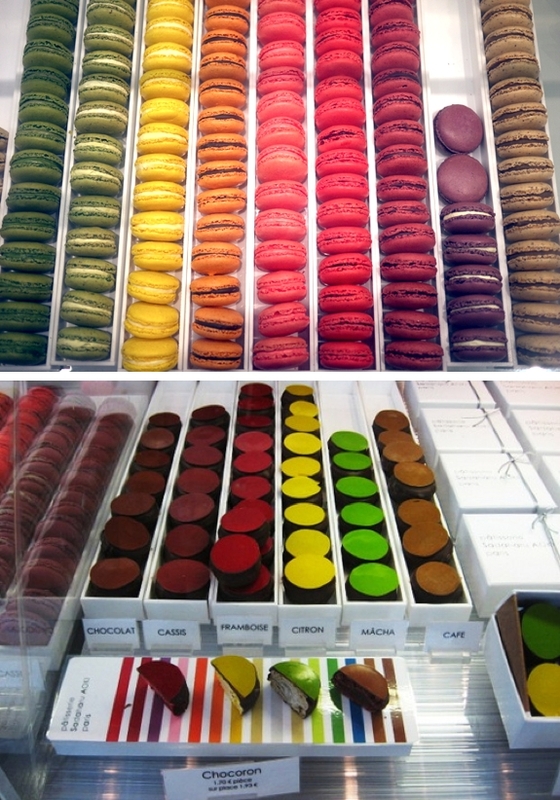 (We especially suggest the macaroons). The color of the plate indicates each baked good’s price. When you are ready to leave — otherwise known as the moment you realize that you’ve eaten way too much and need a change a venue before the dessert train brings you yet another goodie can’t pass up — you bring your stack of plates to the cashier and pay the bill. 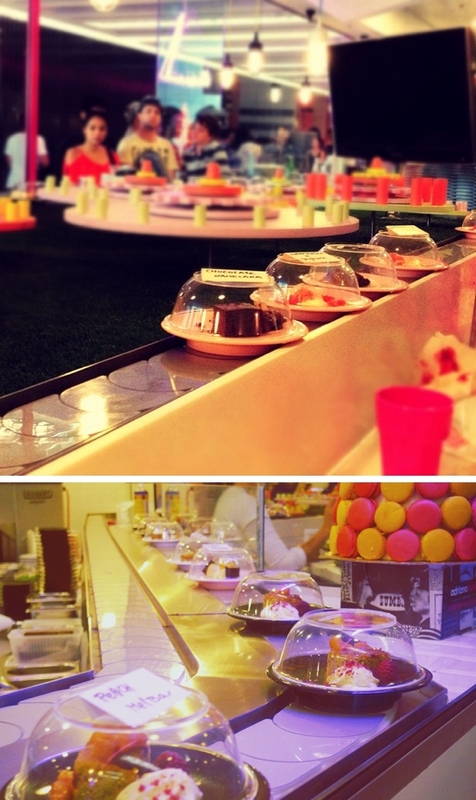  There are three other Adriano Zumbo establishments around Australia, but none have the dessert train or are close to as colorful as their location in The Star. Have a suggestion of your own? The comments section, below, awaits you. 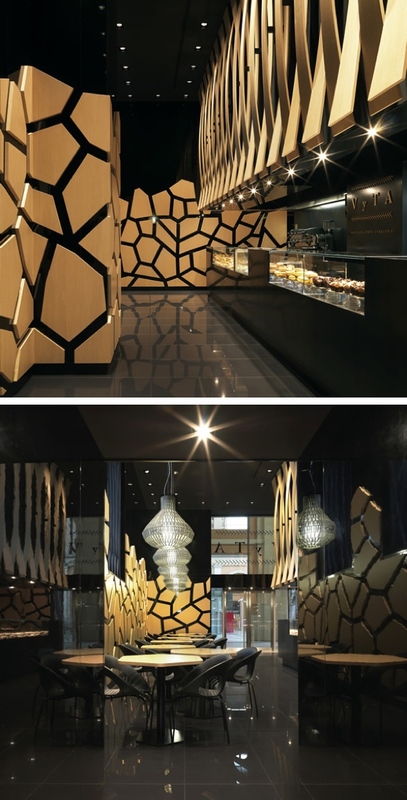 I can’t believe it, a friend of mine has worked on the design of the first bakery in Melbourne; that ceiling looks really interesting, actually it’s made with a special parametric architectural algorithm which has generated this fluid surface. I bet they have really nice bread as well, unfortunately I don’t have the chance to try it. As an architect, I have to say that this kind of sustainable design shows the mentality and great sense of taste of the company as well. Your friend did a great job! You MUST MUST MUST try Pain et des Idées In thé 10th, Paris. Justine Mike your Wayne to rue Toudic on thé n’est corner from rue Dieu. Theo mâle à Pain des Amis out of this worldwide, I’m ot kid ring. Thé crust us almost blackened, thé mie Israël firm, yet melrs In your moûts.